Excerpts from "Go back to nature!" Adolf Just (1859-1936), the founder of the Healing Earth society, is regarded as a rediscoverer of the Healing Earth. He brought back a forgotten remedy, which was a natural help for certain health problems for thousands of years, back into the consciousness of the people. Let us reflect on the gifts of nature and use them for our well-being. 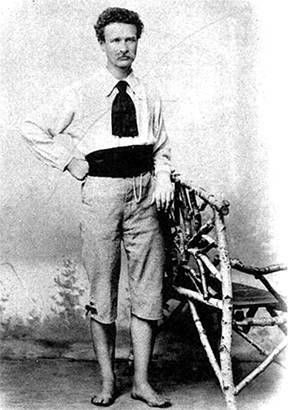 The bookseller Adolf Just (1859-1936) suffered from a nervous illness at a young age, from which the mainstream medical practitioneers could not cure him. After the study of all at that time available literature about Naturopathy such for example, Sebastian Kneipp, he treated himself then. The success was not long in coming and the considered incurable sick was completely recovered. This he achieved, inter alia, by a four-month Kneipp cure. In deep conviction of the forces of nature, he sought to integrate the "natural" into his life. This included, for example, sleeping on the floor of his light-air hut, a simple hut with no lockable windows and doors. Also included were the natural nutrition of fruits, berries, nuts and vegetables as well as lots of exercise and extended walks. The conclusion of his observations of nature was "nature is not wrong, it is always right". 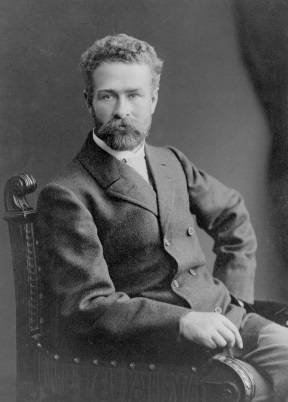 In 1895 he published his first philosophical-medical book "Return to nature", in which he introduced the natural way of life. The book was translated into several languages and achieved a high circulation. One year later he founded the "Naturheilanstalt Jungborn" in the Harz Mountains, which in his time was the largest naturopathic institution in Germany. Just started the "Jungborn Movement" to share his thoughts on the holistic, healthy way of life. He was not a dogmatist who wanted to impose his teaching on others. Nevertheless, his unconventional healing methods repeatedly led to conflicts with school physicians and the judiciary. Displayed by a Bad Harzburg doctor, Just had to answer in front of the Wernigeroder district court. In his closing remarks, the whole power of his conviction was expressed in his right way: "I am completely acquitted in this matter before God and my conscience and declare once again that I give full and free support to my ideas. In twenty years, people who have treated wounds and taken no Earth, may be condemned here. " In the vicinity of the Jungborn Just found a loess, which was excellent for internal and external application. 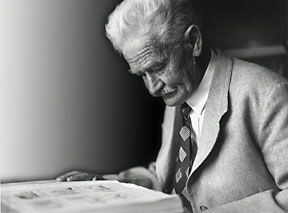 In 1918, Just founded the Heilerde-Gesellschaft in Blankenburg and successfully produced and distributed the "Adolf Justs Luvos Healing Earth" at home and abroad. Adolf Just died in 1936 after a long and fulfilling life. The Heilerde-Gesellschaft founded by him still produces the Luvos Healing Earth according to his philosophy.